As my sis has pointed out, I cannot mention Angel without writing something about Angel’s creation – the child-like Seraphim. Described as being built from several suits of armour with six arms and no speech abilities, Seraphim is able to wield six swords at once (4 swords and 2 guns in Tapestry of Fates), and comes complete with a huge sense of justice and devotion to his friends. As an assault droid, Angel programmed Seraphim to act in an ultra violent, rampaging mania if her life is threatened or if she comes to harm. He is also programmed to obey all of her commands, disguised as kind requests. His violent side is mirrored in his benevolent nature and innocence, as is shown in Book 2 of Tapestry of Fates (Spirit’s Pain) when he introduced. When he got to Gemma, she looked up at him through red ringed eyes; tears streaming down her face. Did you kill him?’ She whispered to the tall droid as he freed her from the shackles. Seraphim paused and then slowly placed a finger under Gemma’s eye, carefully wiping her tear away. His eyes shone a deep blue. Softly bleeping he nodded at her. ‘Thank you.’ She quietly choked, embracing Seraphim tightly, who in return held her back. Here is an excerpt from my other tale ‘The Lost Flame’ that perfectly describes the nature of Seraphim. Please excuse the very poor grammer – it is over ten years old. 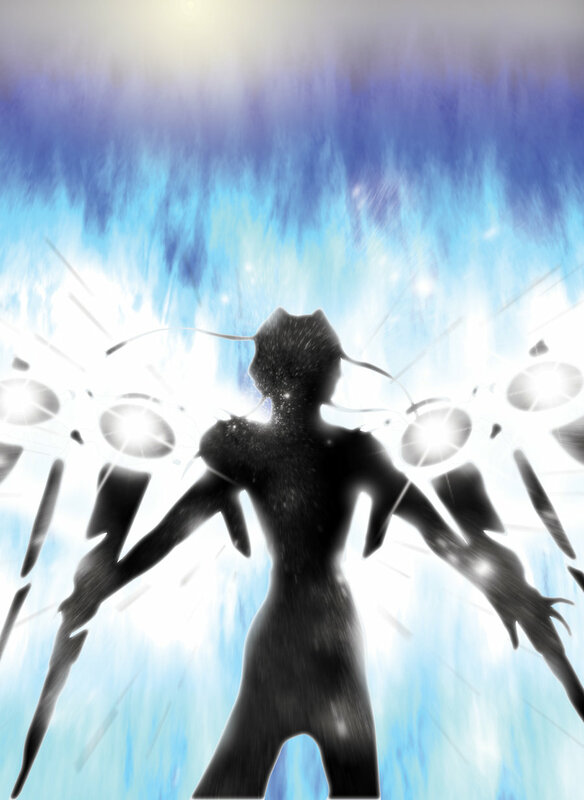 Whoever heard of a robotic angel? I’ll be honest, Uni was pretty much a big waste of time for me! Not having a proper tutor for the entire first year, getting myself in major debt, and forgetting just about everything there is to learn about Animation just about sums up how pointless for me it was. There were good things mind! I had a blast whilst I was there, it helped push me towards the wrtiting side of productions, helped with my art, and I got to throw my mortar board in the air at graduation. Uni was also responsible for giving me a character that I have been determined to put in every piece of writing I create even if I had to change her to a pink-haired human if necessary. 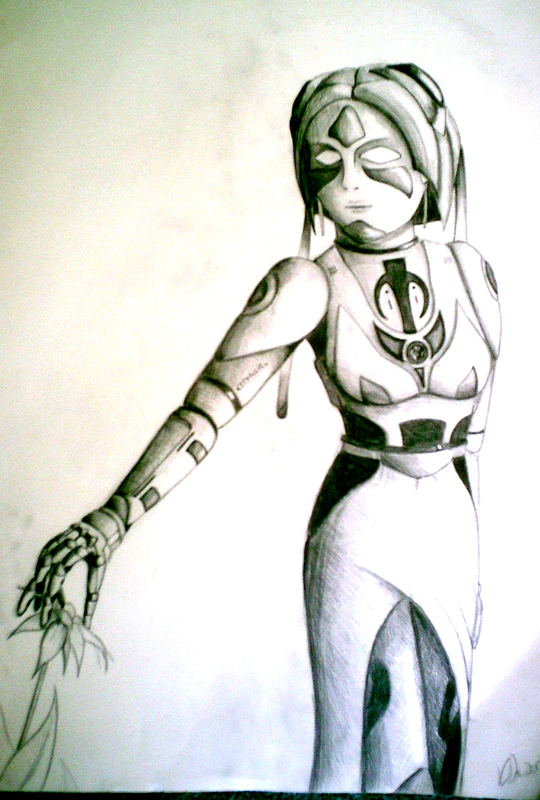 One of our assignments was to create an original character based upon two completely different subjects or genres. For instance one of my friends created a Transvestite Gladiator. 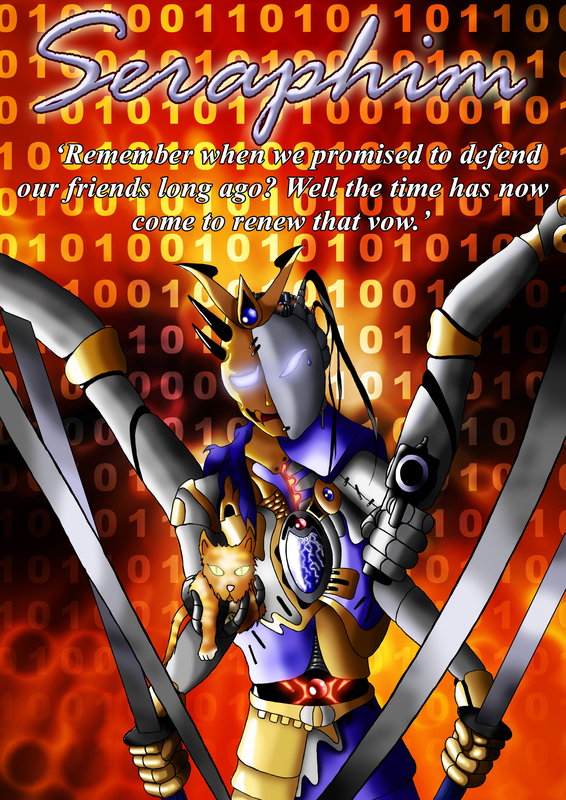 I decided to combine Robots and Angels, and named my character Cyphangel. 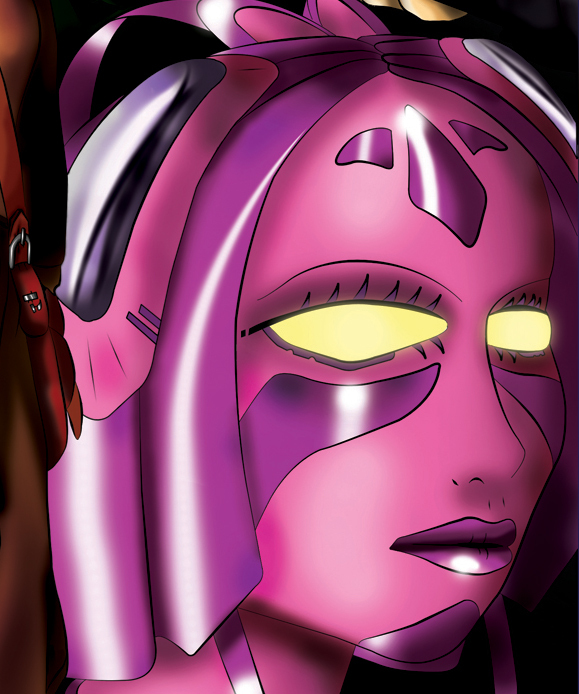 Her back story was that she was an assasination droid, built in pinks and purples to deceive her targets. We had to construct these characters using a crude armature and plasticine. To this day that model remains at my dad’s house, and Cyphangel has morphed into simply ‘Angel’. She has also give rise to my sister’s and friend Symon’s fave character – the childlike, four sword, two gun wielding Seraphim. So far both character’s have appeared in both Tapestry of Fates and Phoenix, serving as a link to the two tales. Recently I was quite disheartened to see a character in Tekken 6 paying more than a slight resemblence to Angel, in both looks (pink hair) and storyline.Thankfully I could never be accused of stealing as it’s nearly a decade since I left uni. Now I’m due to put Angel into Fallen Tears. Has anyone heard of a robotic, vampire angel? Finally, the 1st Prologue has been completed for my gothic vampire tale and will be uploaded tonight. Starting the next chapter as soon as possible.